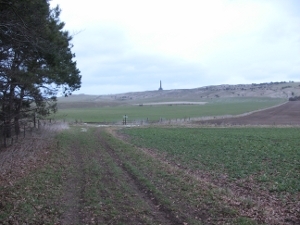 The day I took these pictures started as a beautiful sunny (March) day and finished raining with a very strong wind. 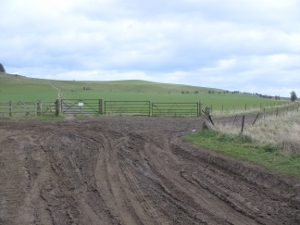 There is a Parking Place here, at the top of the Hill. 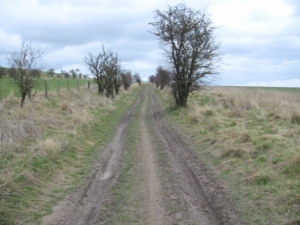 Soon the track bears slightly left. 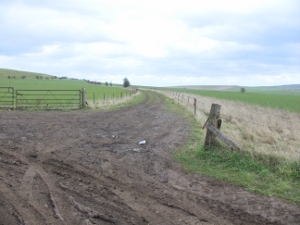 Do not continue straight on but turn right here. 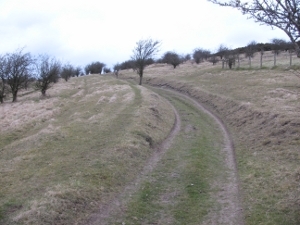 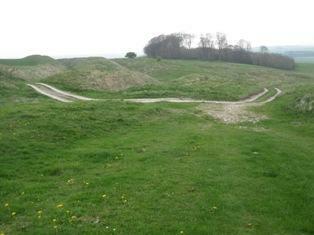 If you were to continue along this track you would soon reach the North Wilts Golf Club. 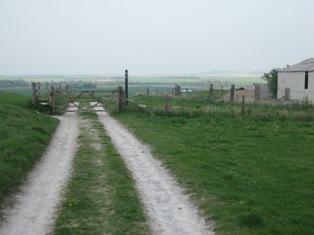 You would have gone wrong - GO BACK! 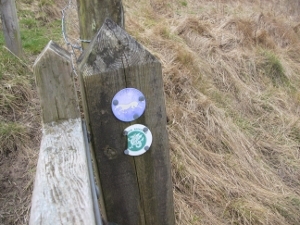 These are the discs/signs on the corner post. 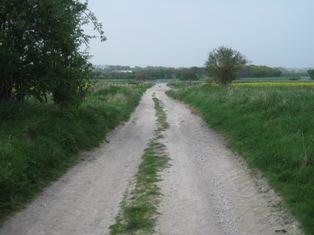 until you come to a road. 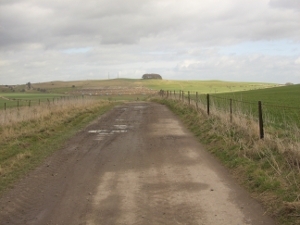 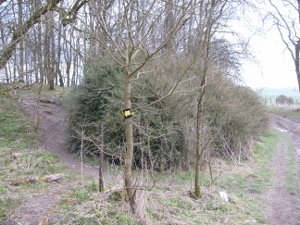 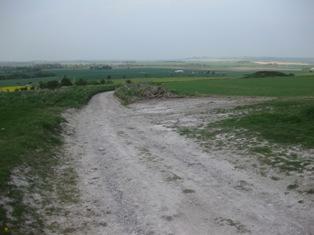 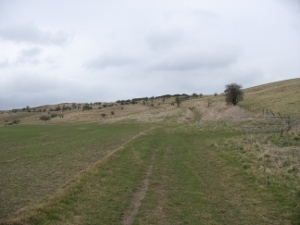 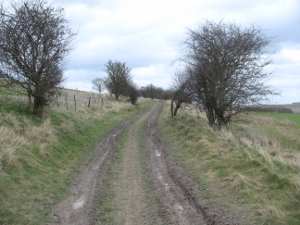 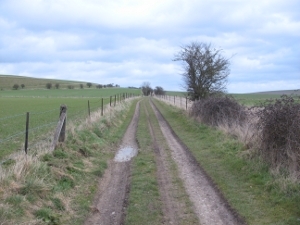 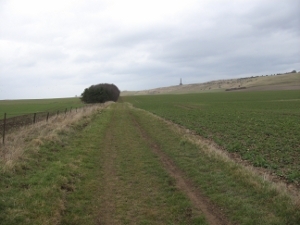 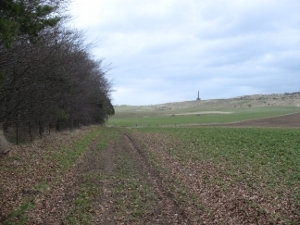 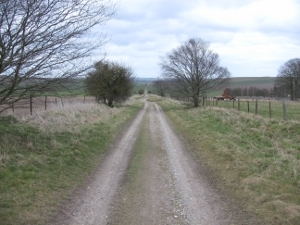 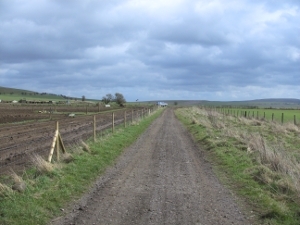 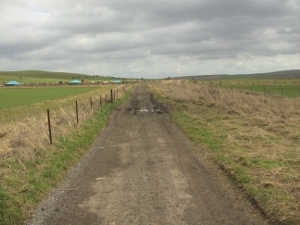 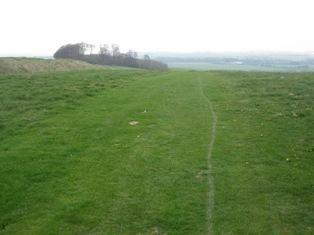 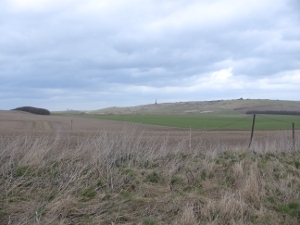 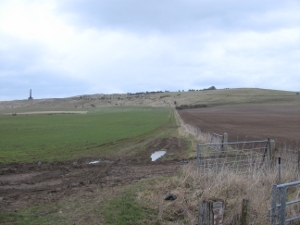 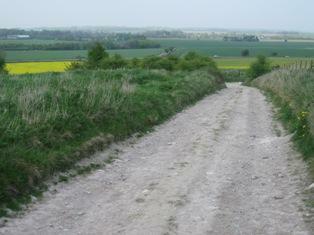 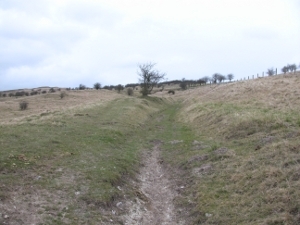 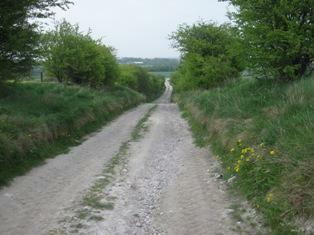 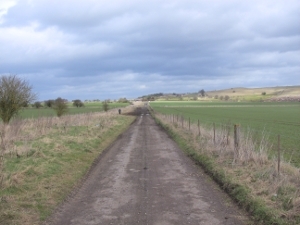 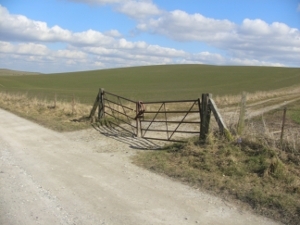 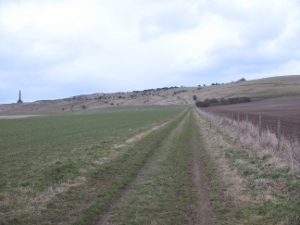 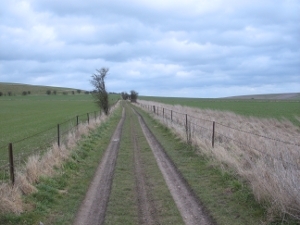 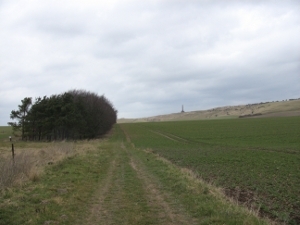 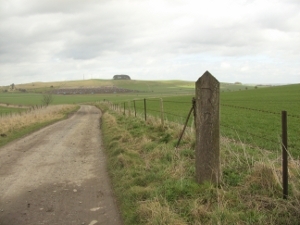 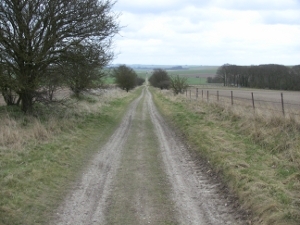 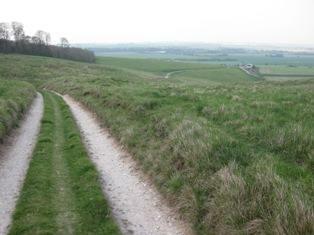 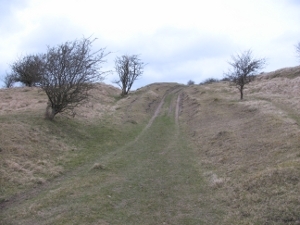 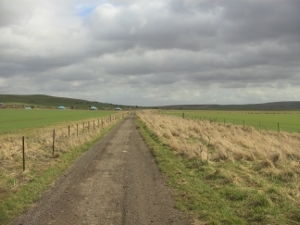 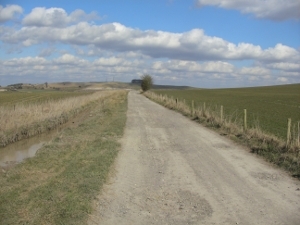 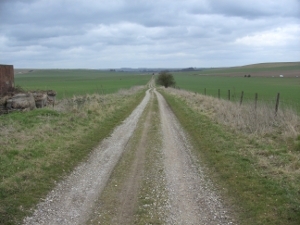 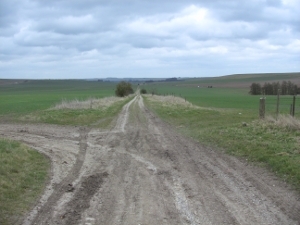 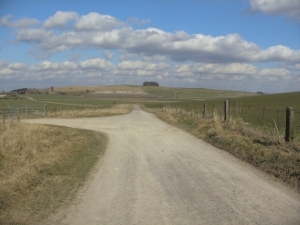 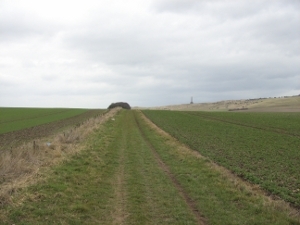 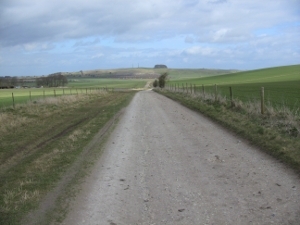 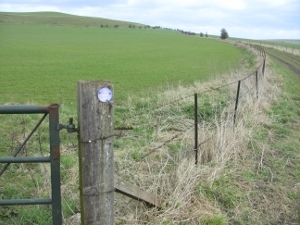 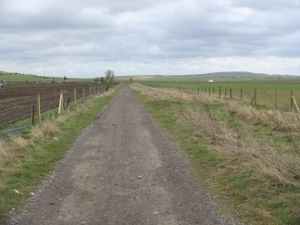 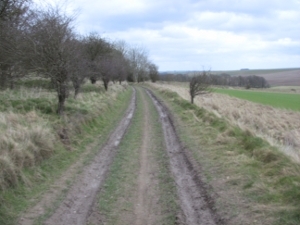 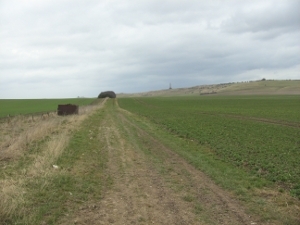 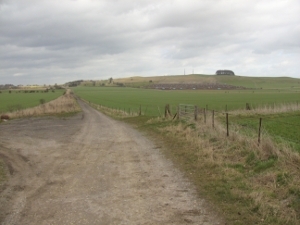 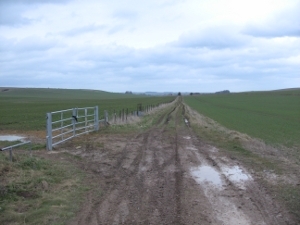 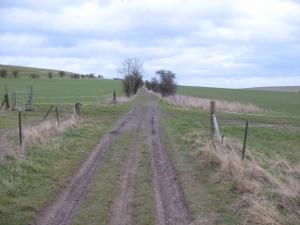 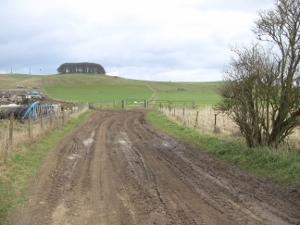 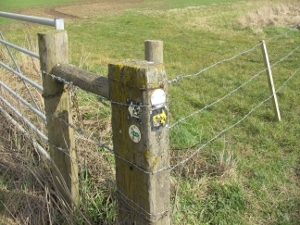 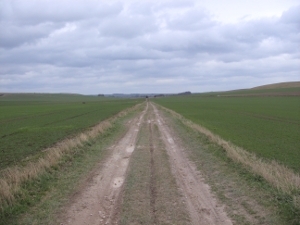 This is the Wansdyke Path. 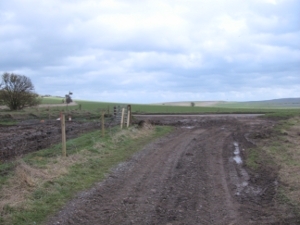 There should be a Marshal here to direct you across the road. 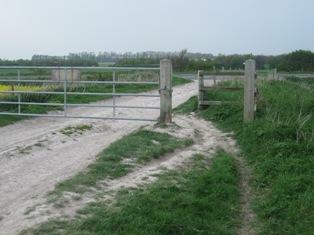 Go either way around this tree. 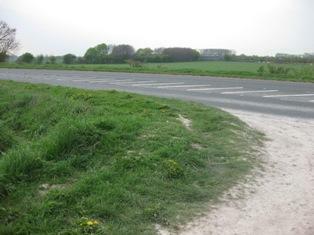 Ignore this sign, keep straight on. 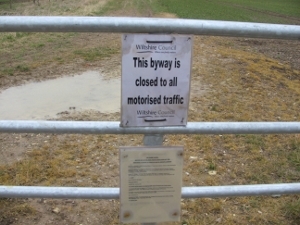 which, when I passed, was closed to traffic. 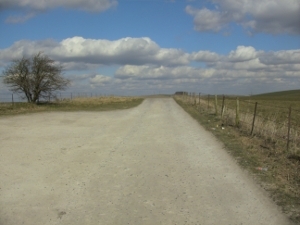 Note that the five white pyramid shaped bollards which were here in 2008 (shown by a red arrow on the Google map) have now been removed. 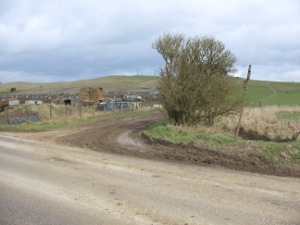 You are no more than 150 metres from the A361 (on your right) at this point. 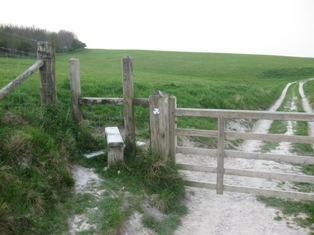 until you come to a signpost. 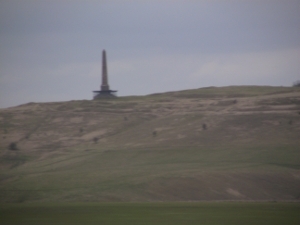 You can still see the monument to your left. 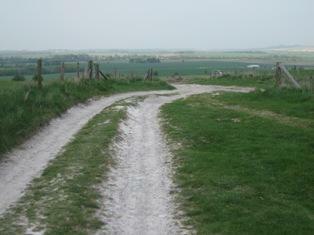 still on the White Horse Trail. 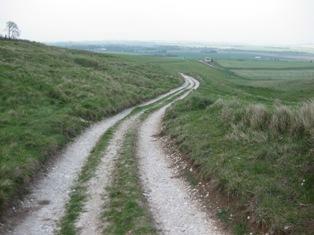 to a rough lane that curves in front of you. 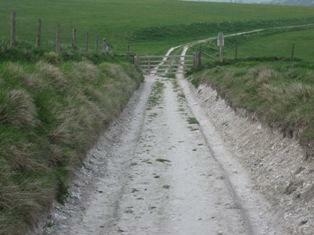 but just follow the lane. 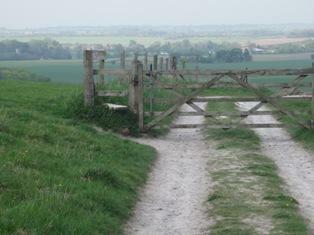 You come to a style by a gate. 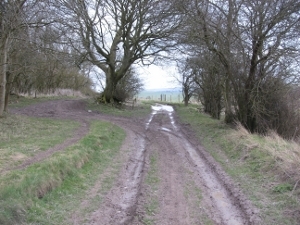 Cross the style and continue on the track. 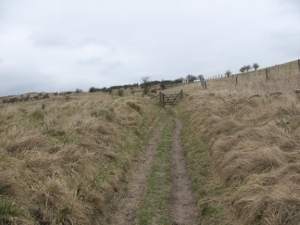 the turns to the right. 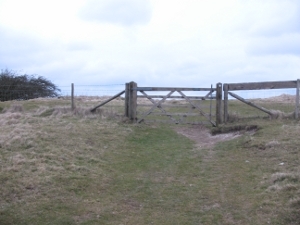 to the right of it, you can run through this gap. 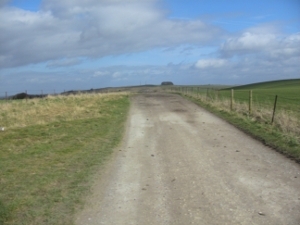 The finish is just before the road. 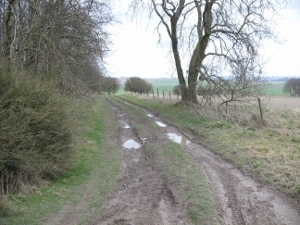 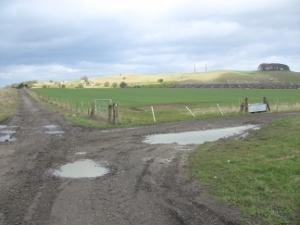 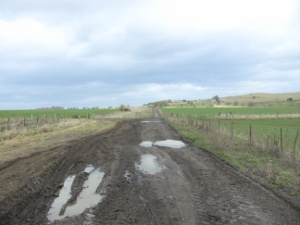 If you have problems parking near the finish of this stage, it is suggested that you park your car in Yatesbury Lane or in the lay-by nearby, whilst you wait for your colleague who is running. 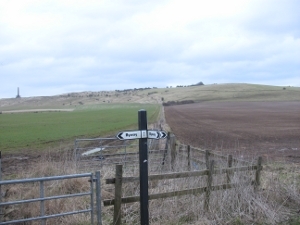 To get to The White Horse Inn, our Headquarters for the afternoon, drive to the turning for Cherhill, turn right up Marsh Lane (see Map) and continue for 2½ miles to Compton Bassett. 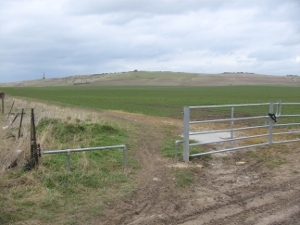 The Cherhill White Horse is: Ordanance Survey reference SU 049 696.